Hotsonite: Mineral information, data and localities. Lathlike or acicular, up to 15 μm in length. Weathered sillimanite deposit. 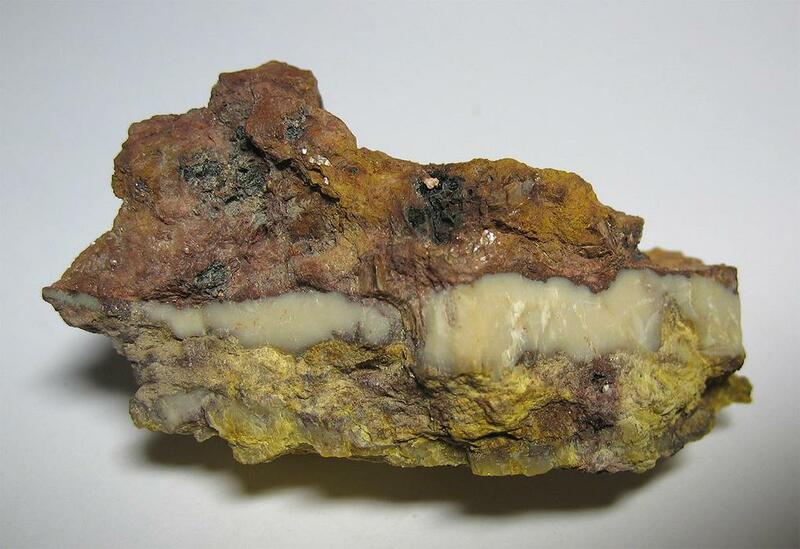 The sillimanite ore weathers to natroalunite and zaherite, which is then weathered to hotsonite. Natroalunite 2 photos of Hotsonite associated with Natroalunite on mindat.org. Sillimanite 1 photo of Hotsonite associated with Sillimanite on mindat.org. 8.DF.10 Bolivarite Al2(PO4)(OH)3 · 4-5H2O Amor. 8.DF.10 Evansite Al3(PO4)(OH)6 · 6H2O Amor. 8.DF.10 Liskeardite [(Al,Fe)32(AsO4)18(OH)42(H2O)22] · 52H2O Orth. 8.DF.10 Rosièresite (Pb, Cu, Al, P, O, H) Amor. 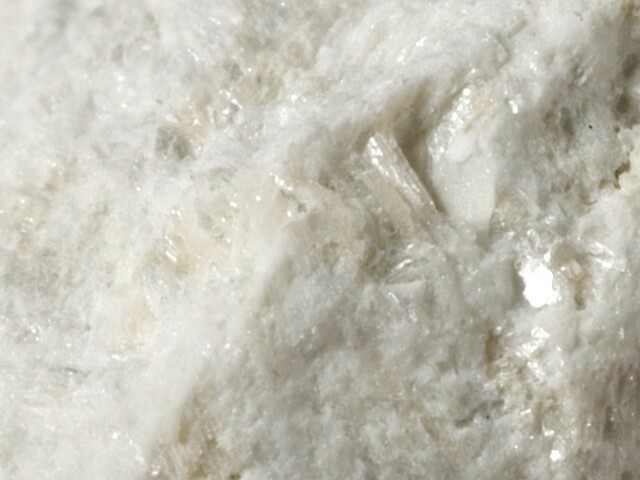 Beukes, G. J., Schoch, A. E., Van der Westhuizen, W. A., Bok, L. D. C., de Bruiyn, H. (1984): Hotsonite, a new hydrated aluminum-phosphate-sulfate from Pofarder, South Africa. American Mineralogist 68, 979-983. 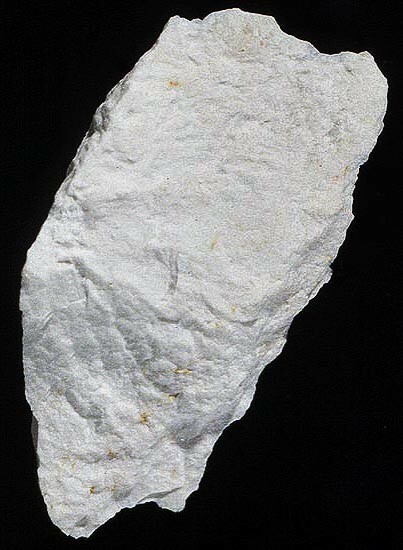 Schoch, A. E., Beukes, G. J., Praekelt, H. E. (1985): A natroalunite - zaherite - hotsonite paragenesis from Pofadder, Bushmanland, South Africa. Canadian Mineralogist 23, 29-34. Ivanov, O. K., Shiryaeva, L. L., Khoroshilova, L. A., Petrisheva, V. G. (1990): Hotsonite: confirmation the discovery and new data (Belyavinsky mine, the Urals). Zapiski Vsesoyuznogo Mineralogicheskogo Obshchestva 119 (1), 121-126. Ivanov, O.K. Shiryaeva L.I., Khoroshilova L.A. & Petri-Sheva V.G. (1990): Hotsonite: confirmation of the discovery and new data (Belyavinsky mine, the Urals). Zap. Vser. Mineral. Obshchest. 119, 121-126 (in Russian).